This fith cell suspension technology has been used for the first time in Axis Mercury Sport (EN-D) paraglider. Axis para is the first manufacturer in the world who used this technology in (EN-C) glider. 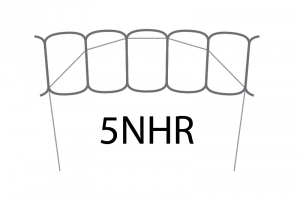 What was the result of using 5NHR? This 5 NHR technology has resulted in 40 % line reduction in Axis Vega 4 paraglider compared to its predecessor Axis Vega 3.